The tree is the pièce de résistance of your home at Christmas and it can be a tricky part of your decorating to get right. Follow our best practice tips to achieve a magazine-worthy, professional look with minimal effort. Make sure you’re starting off with a tree that is appropriately sized to the space you have given it. Nothing looks worse than squashed branches or a blocked doorway, caused by a tree that is too large for the room. 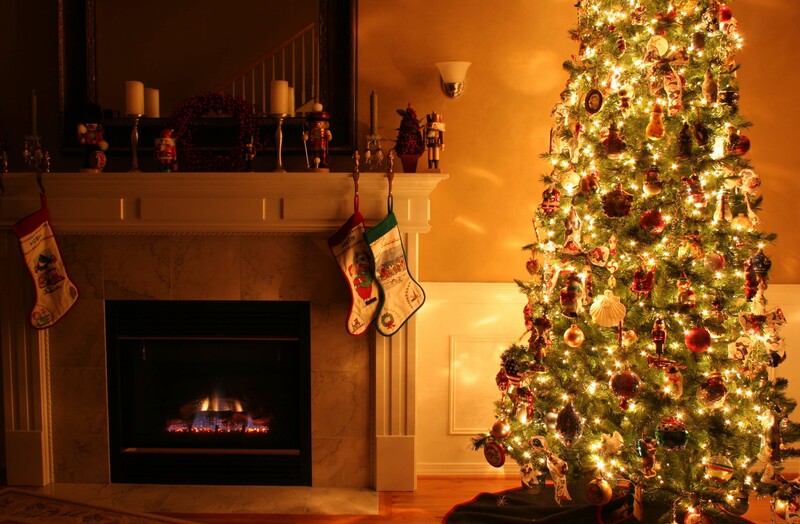 Equally a 5ft or 6ft tree can look lost in a room with very high ceilings. It is absolutely critical to start with the lights! You’re doomed to fail otherwise. (Always check the lights are working before you start to put them on your tree). Choose lights that are on a dark green wire if you are decorating a green tree, and wrap them around from the bottom to the top, weaving in and out from the tips of the branches to the trunk to give your lights a deeper effect. You should aim to use 100-150 bulbs per foot of the height of your tree. Once the lights are in place, you can start to build up the other decorative elements in this order: garlands, ornaments, baubles, and then your star or your angel to top it off. Most homes have two types of hanging tree decorations: the standard “filler” baubles and then the more important pieces like the ones that were gifted to you, made for you or that you picked up on holidays once. We recommend that you give the pieces you love the most first choice in their placement. Pick prominent spots on your tree for these really special baubles or ornaments, and then you can fill in the rest of the space later with the more ordinary decorations. As you are building up your decorations, regularly pause and take a step back to make sure the decorations are evenly spaced out and none are blatantly clashing with each other. There should be no bare looking areas or overly cluttered areas, and remember to check all angles. Like with the lights, all the other tree decorations should also be placed at varying depths on the tree between the branch tips and the trunk. This will create a rich and decadent look. There are no rules! It’s your tree and you can decorate it as you like. If your toddler child or niece has created a rather large item for your tree in a colour that clashes with your overall scheme but it makes you smile when you see it, go for it!